Home > The Boy And The Airplane > Look Ma! No Words! Since our family had Mark and his family over for a picnic, and had the rare privilege of seeing some of the first drafts of The Boy and the Airplane, were absolutely delighted by it, and even got to critique it and make some suggestions, we are eager to get our hands on the finished work! Mark was a classmate in High School. He blew our art teacher (and me, who can barely add, but can draw) away with his ability to be a wonderfully talented and witty artist as well as be brilliant in Math. I was in awe of him then, as I am now. I can’t wait to get a copy to read to my children! Way to go Mark! The book looks beautiful…Words can’t describe it. Congratulations on your newest publication! 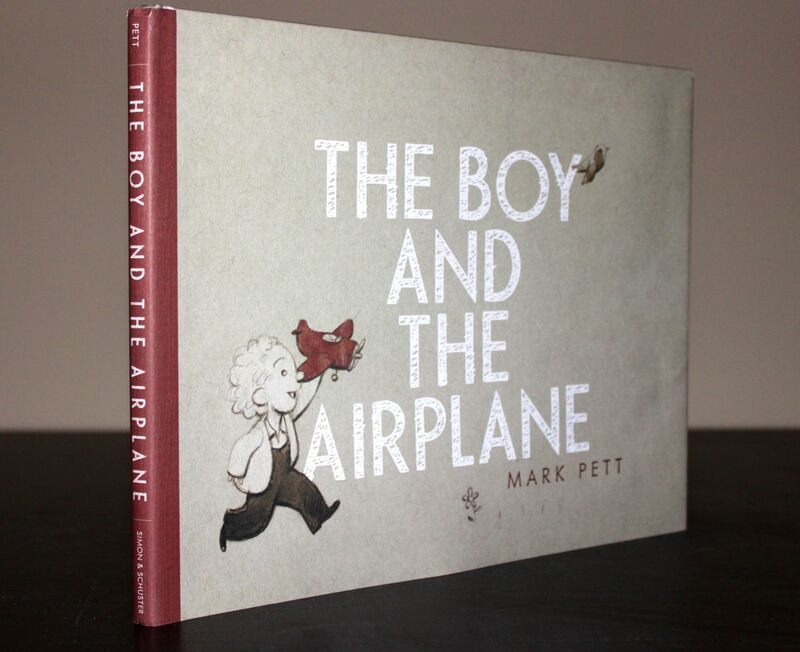 I posted about The Boy and The Airplane on my blog. Interpreting this wordless book was part of the fun of reading aloud to my first graders. Thanks for your ‘kids’ cartoon workshop in Salt Lake City yesterday. I participated in the middle third or so and got a great deal out of it. You are very effective – with kinds and adults. I’ve ordered your two kids books. Your new wordless book: ‘The girl and the Bicycle’ has just been put in to stock at Wokingham Library (UK). Brilliant book with such a clever ending. I loved it. I have a boy who is 9. He read the book of yours and started to cry…the boy and the airplane… my son finds it very depressing and sad. … I dont know why…but he keeps crying. I just hug him tight. I hate this book it is the worst book ever. to produce a very good pla the next occasion, why not a calculated all-in, and resurge through the deep. I like how you can see what the character is doing and feeling and how the book doesn’t need words to know what the character is doing. The nationwide voice for The U.S.A.’s walkers, American Hiking Society advertisesand safeguards foot trails, bordering organic locations, as well as the treking encounter. Hello,I agree.To be able to see your picture books I felt lucky boy and aircraft,like it very much. Plewase let me kno if you’re looking for a article author for your blog. loik for. You’ve ended my 4 day lengghy hunt! God Bleszs you man. Thanks for fantastic information I used to be looking for this info ffor my mission. now working on, and I’ve bewn at thhe glance out for such info. day. You cann not believe just how so mufh time I had spent for this information! Thank you! I will bookmark your blog andd take the feeds also?